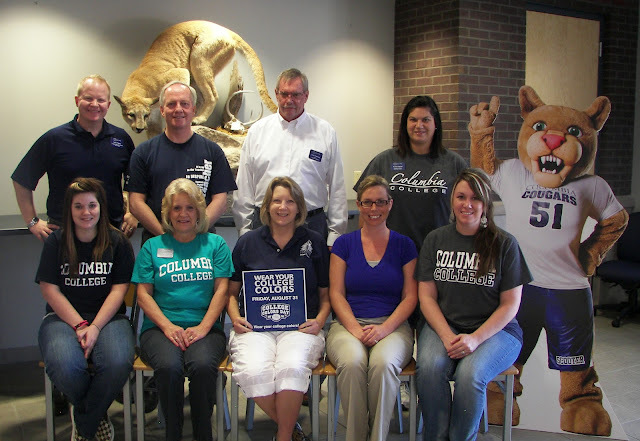 Staff members from Columbia College – Lake of the Ozarks participated in the national celebration of College Colors Day 2012 on Friday, August 31. This marks the third straight year the campus, located in Osage Beach, has participated in the annual event. College Colors Day is a celebration dedicated to promoting the traditions and spirit that make the college experience great by encouraging people across America to wear apparel of their favorite college or university throughout the day.